Aidan Finn from MicroWarehouse here, and this time I want to talk about the theme of Cloud Camp 2018 – change. It’s pretty easy to slip into a rut and do things “the way they’ve always been done”. The problem with that is the world moves on. Clothes aren’t produced on a manually powered loom any more. Most of us don’t travel to/from work on horseback. Who remembers telegrams from distant friends & relatives being read out at wedding receptions? If Moore’s Law taught us anything in IT, it’s that change is constant, and it increases as time moves on. The SAN isn’t the best/cheapest/fastest way to store data at scale. A firewall, AV, and disk encryption don’t provide enough IT security. The server isn’t always the best way to run an application. The cloud is here, it’s faster, more flexible, and those who go through a digital transformation process will have more intelligence, be more competitive, and faster than their competition. And even when the server is the right way, how we used that server, stored data on it, managed it, and ran applications on it 15 years ago probably won’t be the best way to do it today. I will be presenting the opening keynote at Cloud Camp 2018, and I will talk about these themes. I will share how Microsoft’s innovations in cloud and on-premises, combined with a unique hybrid offering, can change your business – and your career! I’m an 11-year Microsoft Valuable Professional, currently with the Azure expertise and previously with the System Center Configuration Manager and Hyper-V expertises. 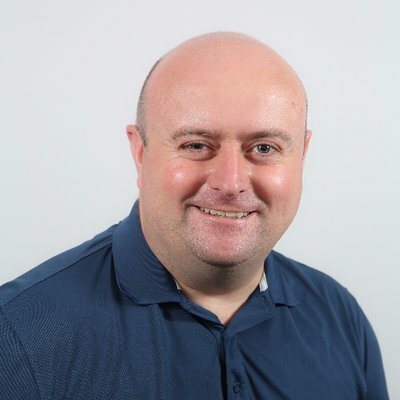 I have worked as a consultant and systems administrator, but today I am the Technical Team Lead at MicroWarehouse Ltd. Our team provides “sell with” and “build with” services to our customers, Microsoft partners, for Microsoft’s cloud services such as Azure (application & platform) and Microsoft 365 (modern workplace). I blog on my own site at aidanfinn.com and I write for Petri.com, and I have written several IT books over the years. We have a lot of sessions about different parts of Azure, Microsoft 365, Azure Stack, and Windows Server 2019 at Cloud Camp 2019. In my keynote, I will explain the vision that unifies these services and products, and how a new mindset can revolutionise how you provide IT services to internal or external customers.